10.999,00 EUR 19 % VAT incl. 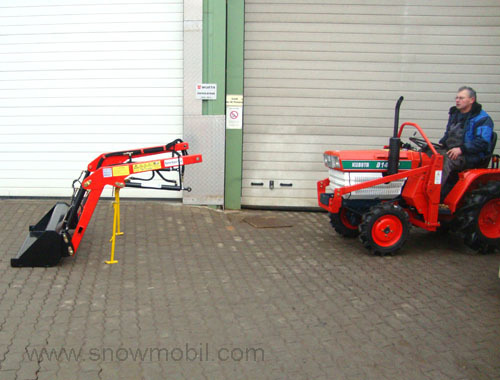 • Supplied with foldable roll bar. We can prove these works. 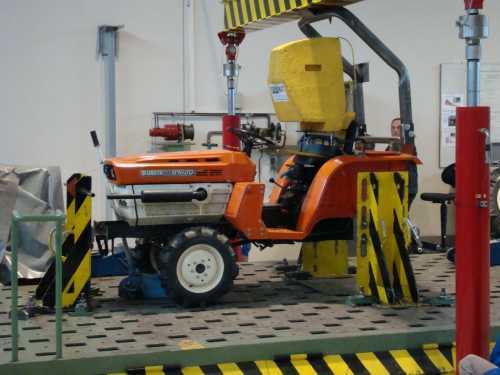 Our tractors are equipped according to the current EU safety standards! Slight paint damage or abrasion might have occurred owing to ocean shipment. Warranty - 1 year. Except on common wear parts, age and running time related wear is not a defect. • max. power: 33,0 HP/24,3 kW at 2800 rpm. • PTO Speed: 540 - 800 - 1000 - 1250 rpm. 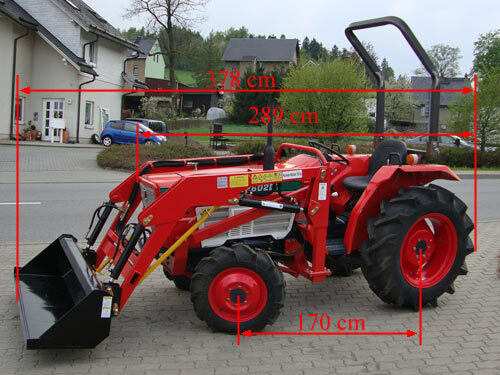 Max payload of the front loader is 150kg, because of the risk of tipping over, respectively higher payload of up to 300kg in conjunction with rear weights on the tractor. Financing / Leasing for businesses possible - Please contact us! 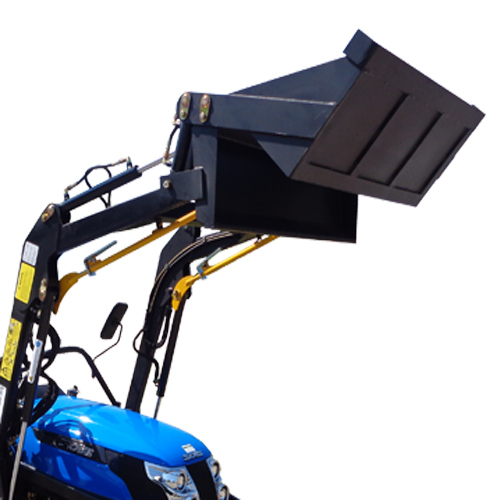 The front loaders correspond with the EU standard 12525 and have been tested! 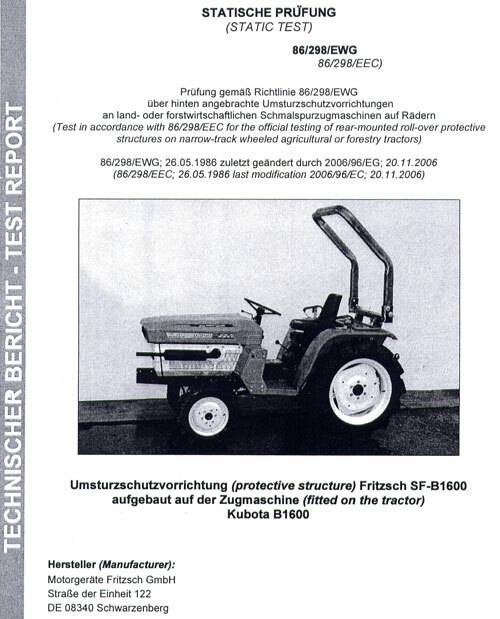 According to our current state of knowledge - all our competitors sell tractors without EU approved and accepted roll bars - this is a violation of law. If these dealers offer rollover bars, it"s not a design that conforms to the standard and is not allowed. 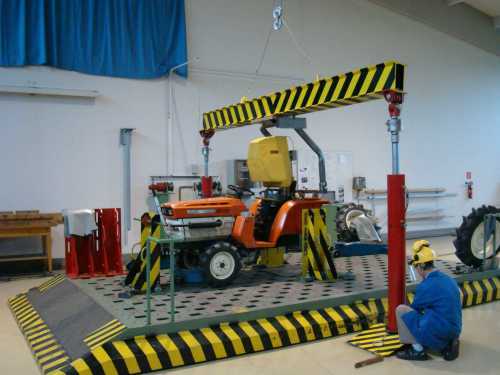 In the EU, tractors from 600 kg net weight without equipment must have a tested and by an european test institute accepted roll bar. 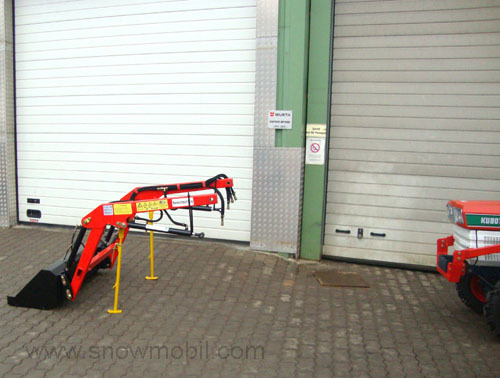 We have tested rollover bars with much financial effort. 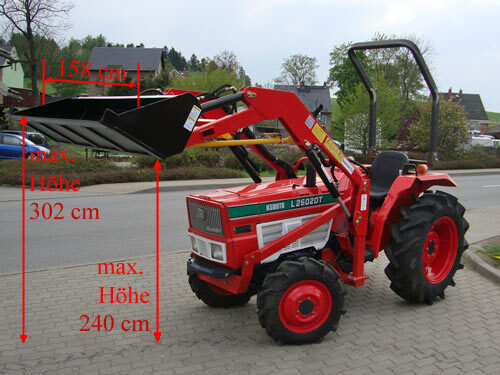 The manufacture of of a roll bar will cost at least 500.00 euros, so we have to factor with this additional cost. You"re taking a security risk when you buy a tractor from 600 kg dead weight without a rollover bar! elivered with hinged unpainted roll bar. 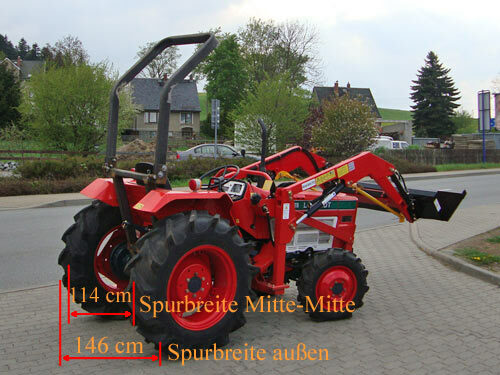 Our tractors are equipped with an approved EU rollover bar after the EU: 86 / 298/EWG standard (check the pictures). Here is one of several test reports and inspection reports!!! 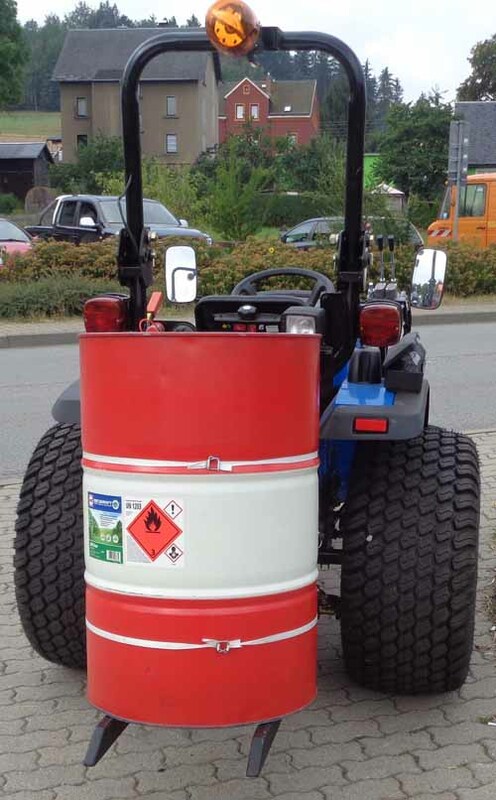 The crocodile bucket / utility bucket / bucket with Control valve and hose set is optional instead of the default front loader bucket for an additional charge of 850 €. 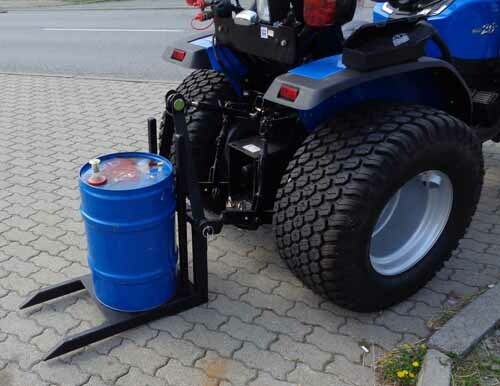 The crocodile bucket / crocodile bucket / utility bucket / bucket with extra control valve and hose set is optional instead of the standard front loader bucket for an additional charge of 850 €. The empty barrel and straps are not included. 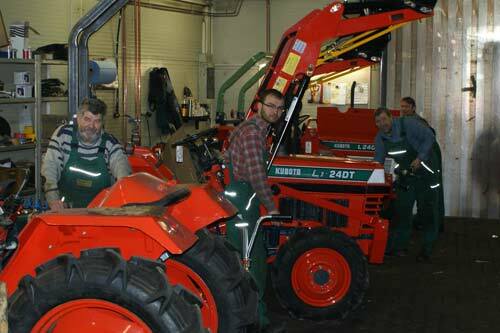 4 technicians work daily on the tractors. Here you can see a video from the everyday life of our tractor workshop (not provided!). Here you can see two videos from the everyday life of our welding shop (not provided!). 3 professional welders work daily on own productions and custom-made products according to customer orders / customer requests. Disassembly and assembly of the front loader - uncoupled within 15 minutes - see for yourself !!! Before disassembling the front loader, lower the front loader bucket to the ground. 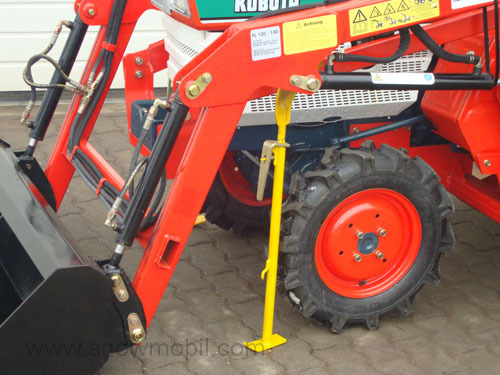 The front loader is equipped with parking supports. These parking supports can be infinitely adjusted depending on the terrain. You need to extend the parking supports. 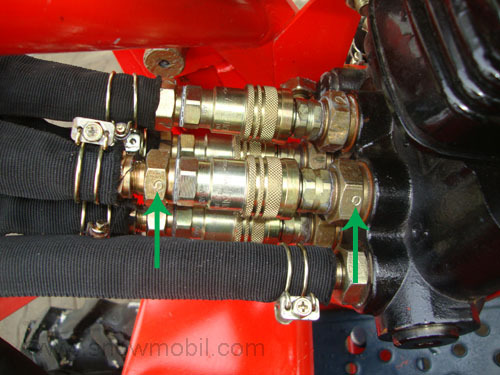 Loosen the bolts and disconnect the hydraulic hoses (since these are bayonet locks). 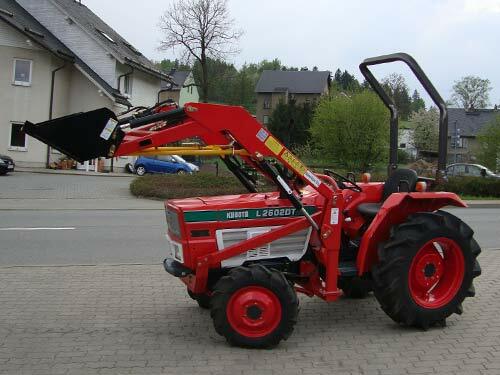 The front loader stops in the parking position. Coupling is done in reverse order. The uncoupling of the front loader takes about 15 minutes. Put the bayonet locks together with the same numbers. 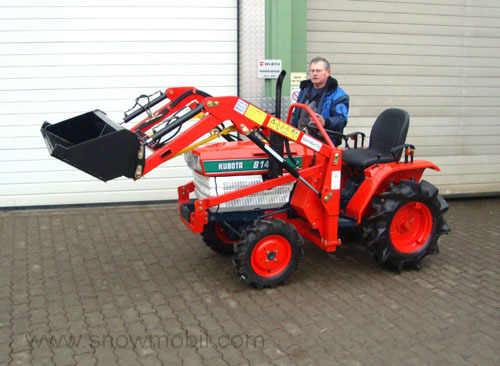 After converting the tractor on your own, you can get the DEKRA approval for 600.00 Euros by us. 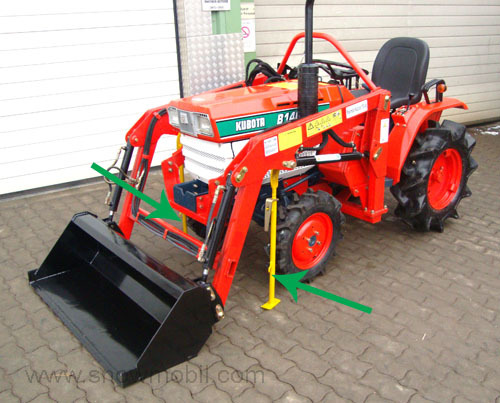 You must retrofitting the tractor on your own, the following must be upgraded: parking lights, brake lights and a hazard flasher. 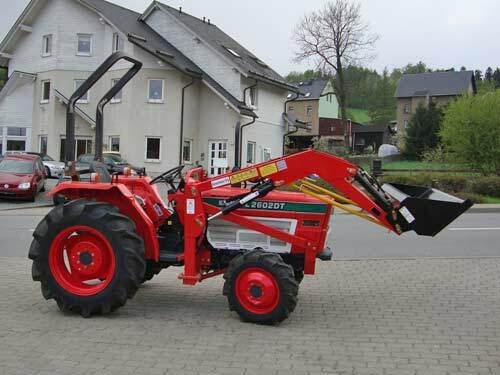 Or we provide a finished vehicle papers for 1200.00 Euros and have upgraded the tractor electrically. 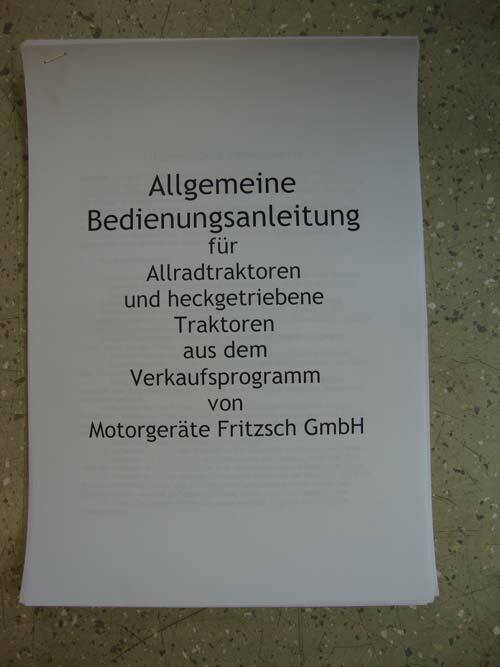 The vehicle is first registered on company Fritzsch and you only need to make the transfer at the admissions office. If you want to get the licensing for your own tractor by us, then the tractor has to be presented here and must be technically accepted. 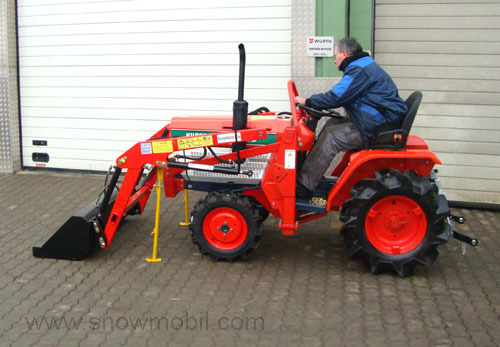 You can also retrofitting the tractor on your own even electrically. 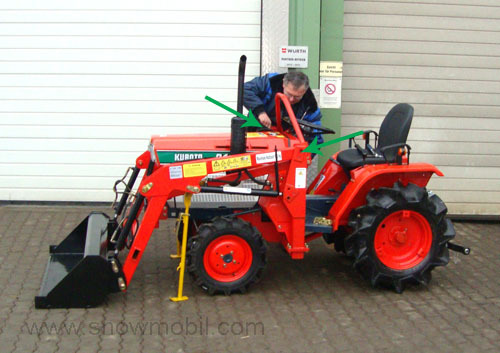 To create the vehicle registration, we still need a clearance certificate from your tractor. A clearance is required which can cost about 500.00 to 800.00 Euros if you do not have one.